Verify that the size of the "sony_dtvota_2016_1605830100_naa_auth.zip" file is "1 846 820 700" bytes. 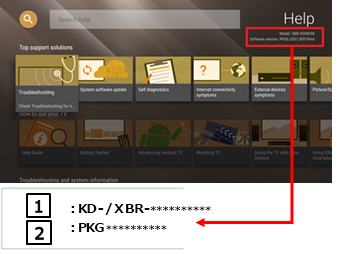 After you extracted the downloaded file, you will find the file "sony_dtv0FA60A0AA0AA_00004300_16058301000205.pkg". Copy or drag and drop the file "sony_dtv0FA60A0AA0AA_00004300_16058301000205.pkg" to the root directory of your USB device. Insert your USB storage device containing the file "sony_dtv0FA60A0AA0AA_00004300_16058301000205.pkg" into a USB port of the TV set.